They “sing.” They hold precious lifeforms found nowhere else. And, they hold the mystery and wonder of creation many thousands of years ago. The landscape of the California desert is filled with unique natural wonders—none more fascinating than the rippled, towering sand dunes that reveal the prints of nocturnal desert creatures upon daylight and glisten at night under a brilliant moon. These ever-shifting formations can rise high above the desert floor and appear desolate, but look closely at what treasures they hold, from desert flowers to sands that seem to wail in the wind. The Eureka Sand Dunes, one of the newest additions to Death Valley National Park, are the tallest sand dunes in California. Rising more than 680 feet above the dry lakebed in remote Eureka Valley, the dunes lie in an enclosed basin at the 3,000-foot elevation adjacent to the even more towering Last Chance Mountains. The walk to the summit through the loose and slippery sand beneath your feet can be strenuous, but the vistas from the top are worth the effort. However, if the sands are dry (they aren’t always dry), you are in for a real treat. When sand spills down the steepest face of the dunes, a sound like a pipe organ may be heard. No one knows exactly why, but it may have something to do with friction. Thought to be 10,000 years old, the Eureka Sand Dunes receive more rainfall than others in this location near a mountain range, making it a special habitat for species of plants and animals that only live here, among them the Eureka Dunes Evening Primrose—a large, night-blooming flower. Activities: Off-road vehicles and sandboarding are not allowed on the dunes due to the delicate lifeforms it supports. 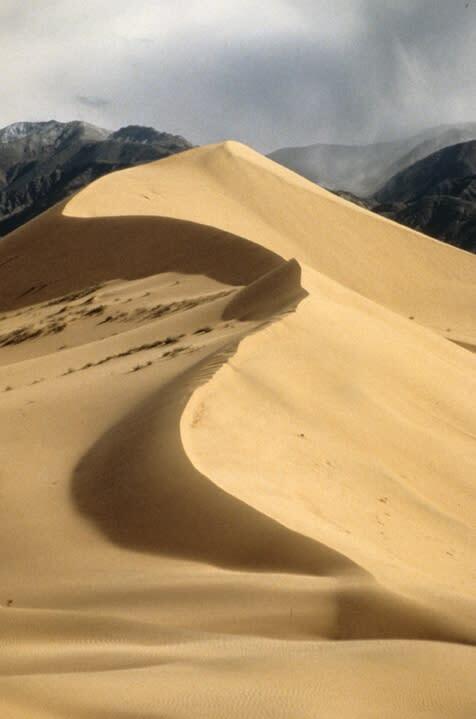 Mesquite Flat Dunes are the best known and easiest to visit in Death Valley National Park. They are also the only dunes in the park to allow sandboarding. 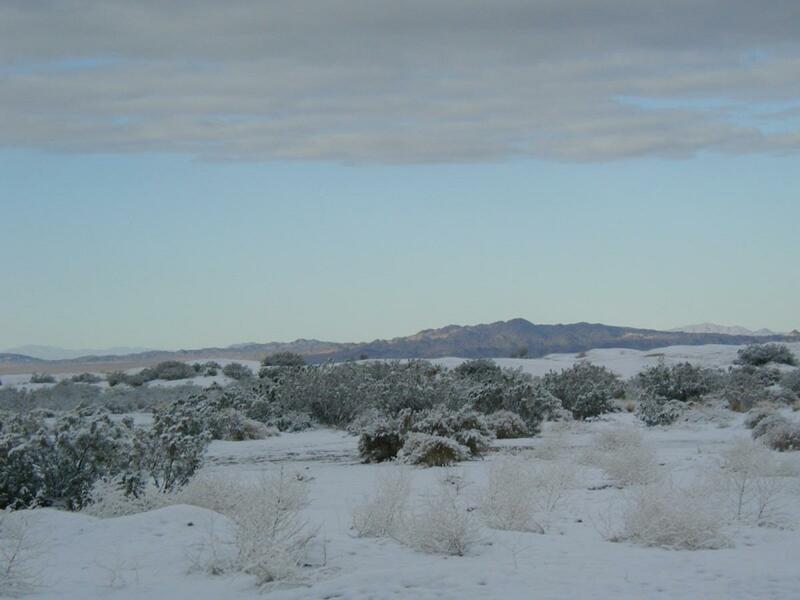 Located in central Death Valley near Stovepipe Wells, access is from Hwy. 190 or from the unpaved Sand Dunes Road. Although the highest dune rises only about 100 feet, Mesquite Flat Dunes actually cover a vast area. You will actually get to view three types of dunes here: crescent, linear and star shaped. Moon-like, polygon-cracked clay of an ancient lakebed forms the floor of the dunes, and mesquite trees offer habitats for wildlife. Activities: No off-road vehicles allowed; sandboarding allowed. You may notice these dunes that ripple us to the edge of salt flats at first. 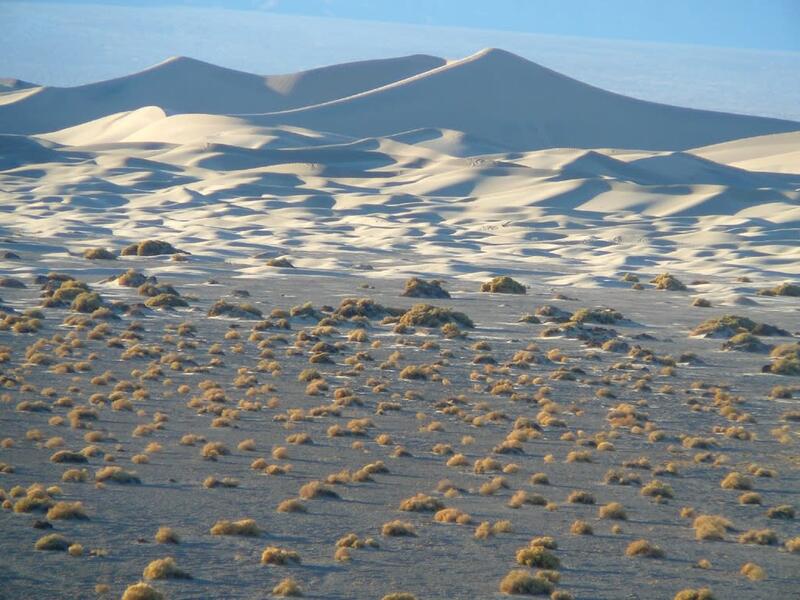 Although covering a vast area, they are some of the lowest dunes in the park and difficult to reach. The long, rigorous drive into Saline Valley and adjacent Inyo Mountains can be limited when snows and flash floods threaten, as well. Activities: No off-road vehicles or sandboarding allowed. Also not easy to reach are the Panamint Dunes. Unlike other dunes in the National Park, these star-shaped dunes are not situated on the valley floor, but rather perched on a slope that grants amazing vistas down valley. 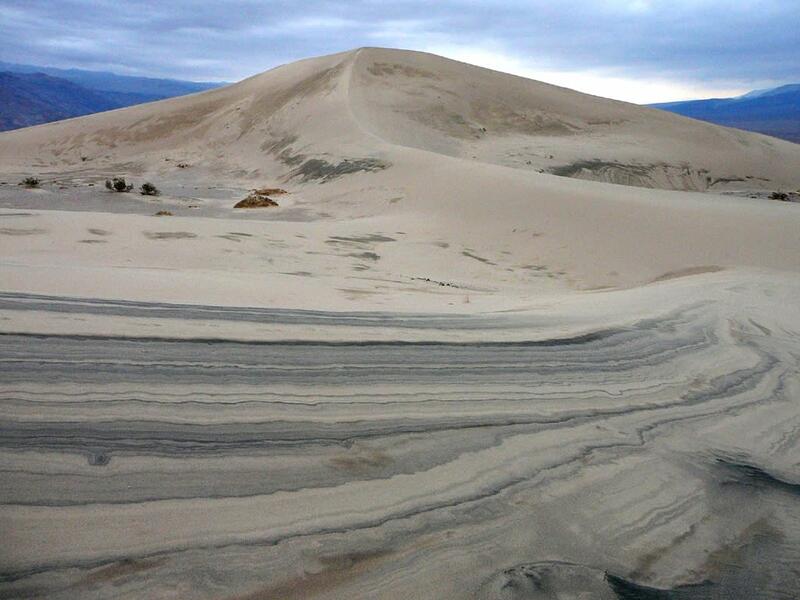 You can view the dunes traveling crossing the Panamint Valley on Hwy. 190, but to reach them, you need to drive 5 miles down an unmarked dirt road leading past Lake Hill, then hike cross country 3 miles. Home to the Mojave fringe-toed lizard, the Ibex Dunes are blocked from view by desert hills from the paved roads of Saratoga Springs. Interestingly, an old talc mine at the base of Saddle Peak Hills overlooks the dunes. To reach the Ibex Dunes, you’ll need to hike a mile from Saratoga Springs Road. Winds that carry sand from Soda Dry Lake, the Mojave Rive Sink and the Devil’s Playground to the base of the Granite Mountains have created Kelso Dunes. Rising up to 700 feet and covering 45 miles of glistening rose quartz and feldspar, the dunes are the largest in the Mojave National Preserve. 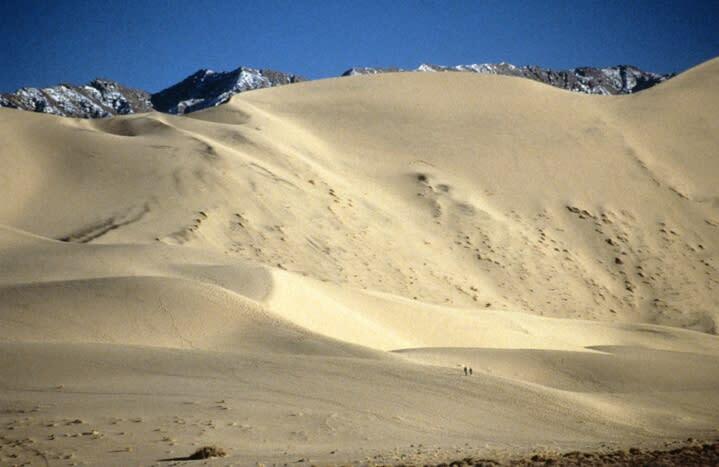 These shifting dunes, like Eureka, are known for their “singing” as hikers climb to the top and slide slowly down. Over the past few thousand years, plants such as the evening primrose and ricegrass have covered and stabilized areas once only covered by drifting sand. As you explore the dunes look for tracks left behind by the many creatures that call these dunes home, such as the sidewinder, kit foxes and Mojave fringe-toed lizard. Activities: No off-road vehicles are allowed. Activities: Fees and permits are required; rules and regulations are enforced.